​To return to one of my favorite comparisons, computer labs are becoming obsolete. Likewise, technology is no longer an accessory to education. Instead, technology is integrated into teaching, learning, and school business. This applies to the practice of districts maintaining separate education plans and technology plans. 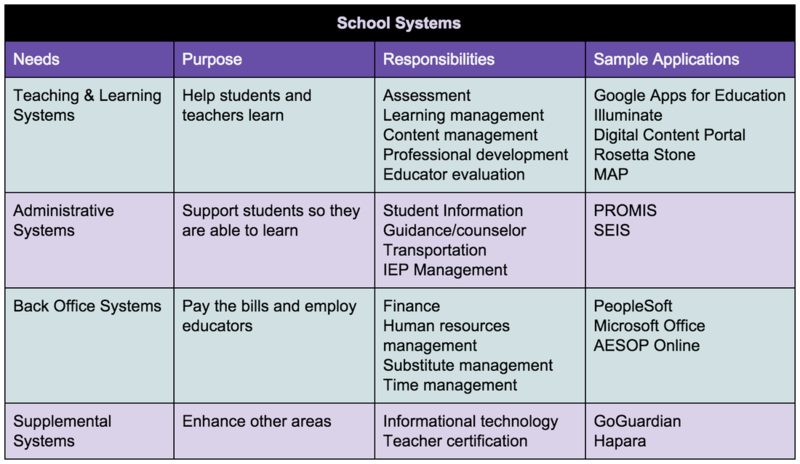 Technology plans complement education plans and education plans are supported by technology plans. It is illogical and impractical to craft and maintain two separate plans--or to to expect students to walk to a computer lab to access the internet during lessons. Instead, districts should aim to craft thorough enterprise architecture plans that address how technology can be used and maximized to support teaching and learning.